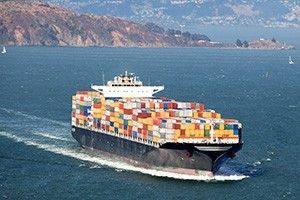 The new SOLAS (Safety of Life at Sea) regulations mean that the weight of each container destined for transport by sea must be declared and verified. Robust forklift scales offer a quick and easy way for shippers to declare accurate weight data. To be compliant with SOLAS regulations, shippers need an efficient way to provide accurate weight data of all sea freight. 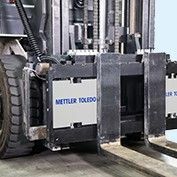 Forklift scales are easy to implement and offer an efficient means of weighing individual pallets before loading them onto the shipping container. Our forklift scales are hung onto a forklift truck, and can be just as easily removed again. They take up no extra space in your facility and eliminate the need to transport the load to a dedicated weighing station. During peak hours, having to wait for a timeslot to weigh can cause bottlenecks and slow down operations. 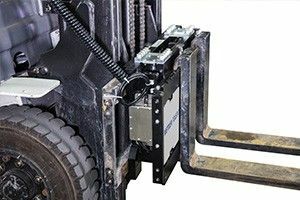 Our forklift scales have been designed for use in what are typically quite rough and fast-paced environments. Special design features ensure that the scale maintains its accuracy and provides accurate, legal-for-trade results, even if it gets knocked around, is operated in the rain, if the forks are uneven or the load is unevenly balanced. Weighing needn’t be an additional step that slows you down. Forklift scales ensure that you stay compliant while keeping freight moving.